Recently, Santa Monica-based Docstoc (www.docstoc.com) launched a new marketplace on its site, for anyone interested in selling professional documents. We thought we'd get the background on the new effort directly from Jason Nazar, CEO and founder of Docstoc, to learn more about the new service. Jason is also behind the popular "Startups Uncensored" events in Los Angeles, so we also pinged him on how those events have been going. For those who haven't heard yet, tell us about DocStore and what it is all about? 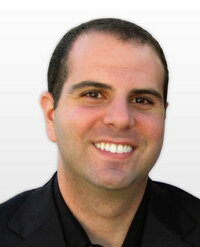 Jason Nazar: DocStore is a premium marketplace to buy and sell professional documents. We're now doing around 20 million people a month to Docstoc, and wanted to leverate that to create a marketplace where you could buy and sell professional content. We launched Docstore about four or five months ago with a number of premium partners, including LegalZoom, CareerPress, LegalAgreements.com, and others, and now we are opening up the marketplace so that virtually anyone can sell high quality, professional content. It's the eBay of professional documents. What kind of documents do you envision people offering through the site? Jason Nazar: Legal contracts, business forms and templates, conference presentations, financial models, research reports, any kind of professional content that you have which you use on a daily, weekly, or monthly basis. Do you screen all of the documents on the marketplace, or how does that work? Jason Nazar: We screen the profiles, but we don't screen the content. We want to make sure the marketplace is for professional content, so we screen to make sure the seller is a professional or small business owner, or a startup or entrepreneur. As long as the content fits in the bucket, we approve it to go into the marketplace. Are you finding that people are willing to pay for documents online, and if so, how much? Jason Nazar: Our typical documents sell for between $15 and $25 dollars. It's been very successful so far, which is why we're making such a big bet. This is a really big, $50 million business at least, and we really want to own the market. It's something like between $50M and $100M in sales per year. Why did you decide to launch the Docstore now? Jason Nazar: It was really always part of the vision of Docstoc. We're now at the end of year 3 of the company. It's pretty typical in the life of a startup, where we've proven we have a product people like, and use and demand, and can scale, and we did a pretty effective job of learning about advertising and making revenues off high yielding, CPC advertising. Now, we're going on to the next challenge, which is to provide more value for our users, as part of a planned evolution of Docstoc. Part of that is transition into paid content. Has that been a difficult transition? Jason Nazar: Overall, it's been a very positive reception. There are two things with DocStore. One, is there is a 100 percent money back guarantee. Virtually all of our sellers support this, though we have a couple of partners who opted out. So, 90 percent have a 100 percent money back guarantee, so there's no risk for buyers. It's great to be able to let people buy content, and make sure that it is what they want. As a matter of fact, people are very happy they can go find something quickly, and just pay $15 to $25 dollars. Most people are really glad to have this premium resources, and it's risk free. Do you think you could have offered this earlier, or was it due to the scale that you could launch this? Jason Nazar: I think the reason why is because you have scale. Obviously eBay is really successful because you have the largest inventory of product online. There is a huge demand from people, who have gone there to buy products. That works like Docstoc, which is now probably the fastest growing web site for small businesses. A year ago, we were around 3.5 million uniques, and we're now north of 20 million uniques a month. We're leveraging that huge demand we have for people looking for documents, to build this marketplace. If, at day one, we'd launched a marketplace without traffic, the usage would not have done much. With 3 million registerd users and 20m unique visitors per month, that gives you the opportunity to introduce a product like the marketplace and have it be successful. On another subject, how has you "Startups Uncensored" event been going? Jason Nazar: The events are going great. We started a year and a half ago by putting out a blog post, because I had people asking me for help on their business. I offered to bring in pizza and stay late one night to help, and was expecting 10-12 people. It turned out to be 40. Sixteen months later, we're the biggest tech event in Southern California which is held on a regular basis. We've got anywhere between 300 and 400 people who RSVP every single month, even though we only have room to fit 150 to 160 people. We've had to turn away people. We've now done 15 events, with the next one coming up this month. We have had over 2000 people come by to Startup Uncensored, which has turned into something I didn't expect at first. There's clearly a need out there to put on events, and as long as people are interested in having them to help coalesce the LA tech community, I'll keep on doing it. What you have learned most from running the events? Jason Nazar: The biggest thing I have learned, is it is kind of like build it and they will come. I think one of the main reasons, is that LA has some unique challenges when it comes to a technology community. First, we're geographically spread out, with silos far away--in Pasadena, the Valley, Hollywood, etc. It's not like San Francisco, where everyone seems to be in a five mile square radius, and you can get out and walk to other technology companies. The other main thing, is we tend to surface business people trying to find technical people. In San Francisco, it's technology people looking to find business people. That leads to more people with ideas, and people on the technology side not knowing how to find and connect with business people. The biggest thing I've found, is if people know you're going to be doing something with consistency, that it will be of good quality, they'll come out in droves. We do this every single month, and never miss a month, it's always on the calendar, and we're not going anywhere. Plus, we provide something you don't get in a typical mixer, which is provide lots of value and an opportunity to connect, because we bring in the top level CEOs in town, top VCs, and do a variety of topics. Back to the company, what's your status now in terms of funding? Jason Nazar: We've worked on the company for three years, and the site went live in November of 2007. The company is going really well. We finished a financing for a total of $4M recently, with top folks like Mike Jones, Brett Brewer, Kamran Pourzanjani, Matt Coffin, Robert Richards, and of course Rustic Canyon. We've scaled to revenue very quickly, and we're running a really capital efficient business. Our traffic and revenues are growing at quite an aggressive pace. Our goal is to continue to build what we want to be known as one of the premier brands on the Internet. We're hoping in the next 18 months to have the single highest traffic site on the Internet with resources for small business, and I think we have a real shot at doing that.